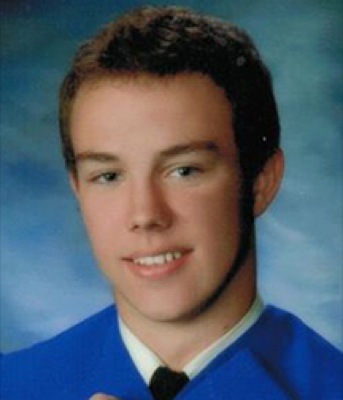 5:42 p.m., May 29, 2013--Joshua Phillip Luff, 20, a sophomore at the University of Delaware, passed away unexpectedly May 24. A celebration of Mr. Luff's life will be held at 11 a.m., Friday, May 31, at R.T. Foard & Jones Funeral Home, 122 West Main St., Newark. Visitation will be held from 6-8 p.m., Thursday, May 30. Mr. Luff studied wildlife conservation at the University, where he had just completed his sophomore year. He was planning to take a study abroad trip to Africa during Winter Session 2014. He also was a member of the Swim Club at UD. "On behalf of the University of Delaware community, I extend our deepest condolences to Josh's family, friends and fellow students," Dawn Thompson, dean of students and associate vice president for student life, said. "The loss of a young person with so much promise saddens us all." "Josh Luff was a quiet student but an enthusiastic one," said Jacob L. Bowman, his adviser and an associate professor of entomology and wildlife conservation. "He loved the outdoors, hunting and fishing and that became clear when you talked to him. I remember well a conversation we had about hunting trips he took with his family to West Virginia. Josh had signed up to take my Winter Session Study Abroad program in Tanzania next year and was excited about the possibility of learning more about wildlife conservation practices on an international scale. My sympathies go to his family and friends. He will be missed." Born April 13, 1993, in Newark, Del., he attended the Sanford School in Hockessin, Del., where he played soccer and baseball. He was a 2011 graduate of Alexis I. du Pont High School, where he was a member of the swim team. Mr. Luff played on the W.L. Gore Soccer League with his brother Eric and his father, Matt. His family said he loved his mother's cooking and the outdoors, in particular hunting, fishing and spending time with his dogs, Sadie, Montana and Dora. He is survived by his father, Matthew Luff, and wife, Sheri, of Elkton, Md. ; mother, Joyce Ann Luff, and Tom Inagaki of Newark, Del. ; brothers, Eric Luff and wife, Samantha, of New Providence, Va., James Secor and wife, Krystal, of Elkton, Md., and Bryan Inagaki and wife, Kristen, of Falls Church, Va.; sister, Danielle Guthrie and husband, Marc, of New Castle, Del. ; paternal grandparents, Albert and Ella Luff, of Chesapeake City, Md. ; one nephew, six nieces and a host of aunts, uncles and cousins. He was preceded in death by his maternal grandparents, Ralph and Ida Thompson. Burial will follow the May 31 services at St. James Episcopal Cemetery in Millcreek-Stanton, Del. In lieu of flowers, contributions may be made to the Labrador Retriever Rescue Inc., LRR.org, in care of the funeral home. Condolences may be left online at www.rtfoard.com.